I can sense the growing interest of people from Malaysia to travel to my home country, the Philippines. Perhaps it's because of the increasingly growing economy (thanks to the new President, which I hope will deliver more than the previous ones). Or perhaps the increasing coverage of its islands like Boracay and Palawan. Maybe because of its campaign called "More Fun In the Philippines"? 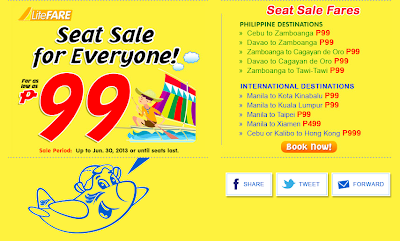 Anyway, whatever the reasons are, the cheapest way to get to Manila is via Cebu Pacific. I am aware that there is the Air Asia option, however, unless Air Asia starts flying directly into NAIA (the airport at the heart of Manila), I will never take that route. Air Asia currently lands directly into Clark, which is a pain, if you want to get to Manila. Did I mention the hell traffic in Manila, you wouldn't want to get caught up in that! Meanwhile, I wanted to share a little piece of information. If you plan your trip well, you could get cheap tickets to Manila via Cebu Pacific airline. In my experience for the past 6 years living in KL, this has been an "okay" airline delivering decent service at a good price. I received a notification on their seat sale, which can get very, very interesting. Another option is to take Malaysian Airlines or Philippine Airlines. Though most of the time it can be pricey. 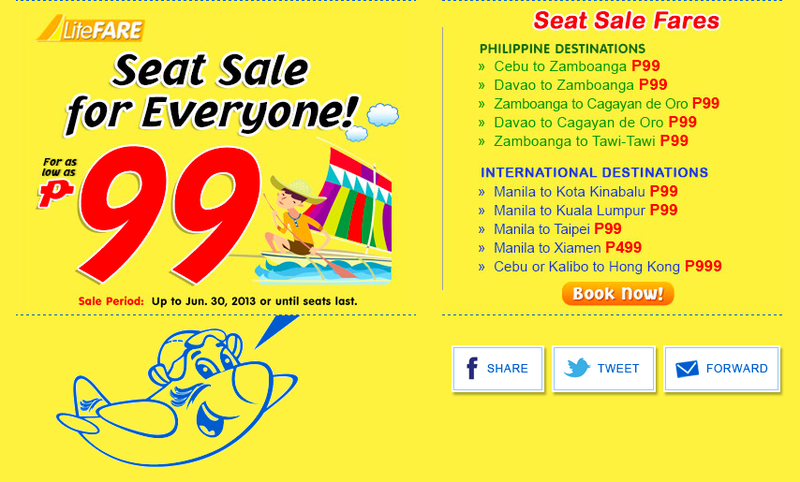 I heard from a friend that occasionally they do seat sales, but not as often as Cebu Pacific.